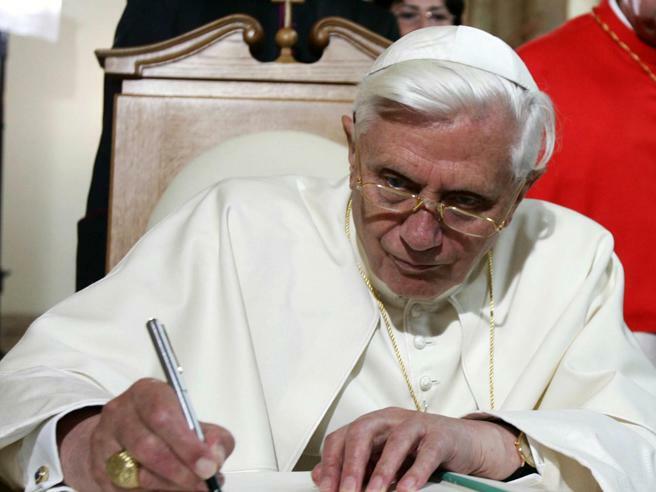 Benedict XVI put once again pen into the paper to write down his reflections on the issue, on the eve of the Vatican summit on the protection of minors. Under permission of Pope Francis, after informing the Vatican Secretariat of State, the text was published on Apr. 11 on several international media. In the essay, Benedict XVI does not just provide a partial response to the issue. He frames the issue into a more comprehensive phenomenon and provides a context to the difficulties of the Church in tackling it. The Pope emeritus also explains the reasons behind the new norms on abuse which centralized anti-abuse procedures in the office of the Congregation for the Doctrine of the Faith, a mechanism that allowed the characterization of abuse as a crime against the faith and to laicize abuser priests. As every text of the Pope emeritus, it must be read from beginning to end. Otherwise, essential details can be lost, and details are very significant in Benedict XVI’s texts. Two points must be highlighted. The first is about the social context where the culture of abuse developed. The second is about the crisis of theology. Benedict XVI noted that everything begins when schools and seminaries started introducing sexual education. Sexual education, along with the production of movies for sexual education, led to the progressive acceptance of all sexual behavior, including pedophilia. The abuse culture grew within this framework. It does not mean there were not abuse before. Benedict XVI tried investigate the right of the culture of the abuse the way it developed, not the abuse per se. It is, in the end, the crisis of 1968. Not by chance, Pope Francis mentioned it in his 2018 new year’s speech to the corps of ambassadors accredited to the Holy See. The Pope emeritus even wondered how it was possible to choose priesthood and accept all the implications of the priesthood in that framework. The crisis of vocations, in the end, showed that his preoccupations were not unsubstantiated. Modern culture is hyper-sexualized. Everything is considered licit and relative. There is neither evil nor goodness. Benedict XVI even denounces that there were gay clubs in the seminaries. Benedict XVI’s analysis goes beyond the issue of the abuse of power and does not even mention the problem of clericalism, though it has been at the center of some discussions during the Vatican summit. Benedict XVI set the gaze further and noted that the real issue lies in the relation of the priest with society, and in general in the relation of Catholics with society. In the end, the priest is in the world, though he does not belong to the world, and he takes from the world challenges and problems. Benedict XVI’s text implies that the real issue is discernment, rather than clericalism. Moreover, the text also implies a warning about a functionalist image of the priest. Priests are now like handymen. The pastoral work sometimes is marginalized or considered only from the social point of view, rather than from the spiritual point of view. Benedict XVI showed clearly that the crisis of abuse is a crisis of faith, an outcome of an environment that does not favor the development of faith. The crisis of abuse is also a crisis of theology, and more in general a crisis of thought. Paul VI wrote in the encyclical Populorum Progressio that “the world suffers because of a lack of thought.” He was shedding light on an emerging problem. Hence, the second crucial point of Benedict XVI’s text: the crisis of theology, and in particular of moral theology. Moral theology was not prepared to face the new challenges of the times since it was living a transition from the natural law approach to the Sacred Scripture approach. Theology then lost sight of the notions of intrinsic good and intrinsic evil. Everything is relativized. There are no absolute good to reach out for. Benedict XVI underscored that even St. John Paul II was very well aware of that. It is logical. We must remember that Cardinal Karol Wojtyla also asked Paul VI to reaffirm that Humanae Vitae was infallible as it was rooted in the traditional teaching of the Church. He wanted, in the end, to reaffirm the intrinsic good and sweep away every kind of relativism. The discussion on the matter had already started. John Paul II acted in 1993, drafting the encyclical Veritatis Splendor. This encyclical was vigorously attacked because it looked to the roots of the matter and questioned a system of values that was prevalent in those years. 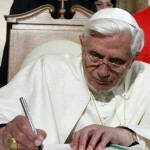 Benedict XVI connected the publication of Veritatis Splendor to the publication of the Compendium of the Catechism of the Catholic Church. Both are part of the battle to reaffirm faith and make the people of God aware of the contents of faith. These two crises are still current nowadays. Society has kept going toward hyper-sexualization, the theological debate seems to be stuck and with prominent characters as reference points. Theological models date back to the Second Vatican Council: they should be updated, reconsidered and polished from a specific perspective. The crisis of moral theology is a crisis of thought. This crisis led to a decrease in the number of vocations. Even Churchmen are affected by a crisis of thought. They use secular words to explain the Church, they also underscore the need for female leadership in the Vatican, but they do not commit to essential discussions on crucial issues. The debate around the Church is, then, totally secularized. Benedict XVI sheds light on that. Benedict XVI touched on these issues during his 2011 trip to Germany. These issues are still current, as way too often the Church is described with a quasi-political terminology. There are discussions on Curia reform and fewer discussions on evangelization. It is a paradox: Pope Francis wants a missionary Church, the Church seems to shut itself through its procedures. Benedict XVI connects all the dots: the crisis of society leads to a crisis of reason that becomes a crisis of faith, as faith must be lived reasonably. We must give the reason for our hope, as St. Peter said. The crisis of values also affects the Eucharist. The Eucharist is crucial. It seems to have been marginalized, despite the extensive discussion on the possibility to bring communion for Catholics divorced and remarried. The Eucharist is the center of everything. Out of the Eucharist, care for the human being is born. The Eucharist is at the origin of the Social Teaching of the Church. Benedict XVI does not put things this way, but the conclusions are obvious and evident: the debate on granting access to the Eucharist to divorced and remarried is merely worldly; and so are the debates on Curia reform and the future Church, when they are based on an organizational rationale. The abuse crisis, the Church’s crisis, is a crisis of faith. Since everything is connected, the crisis of faith becomes a crisis in society. Benedict XVI writes: “Western society is a society in which God is absent in the public sphere and has nothing left to offer it. That is why it is a society in which the measure of humanity is increasingly lost. At individual points, it becomes suddenly apparent that what is evil and destroys man has become a matter of course. That is the case with pedophilia. It was theorized only a short time ago as quite legitimate, but it has spread further and further”. In the end, Benedict XVI advocates a Church centered on the mystery of God, able to reason on the mystery and to live the mystery. This is the greatest challenge. The Church will overcome the crisis only if it succeeds in this challenge.